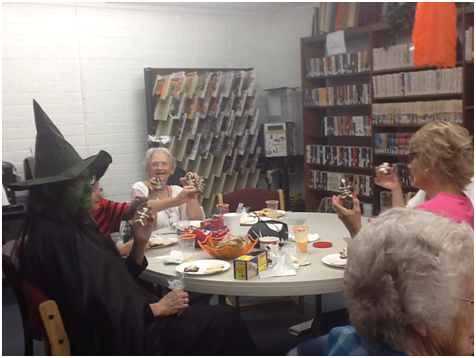 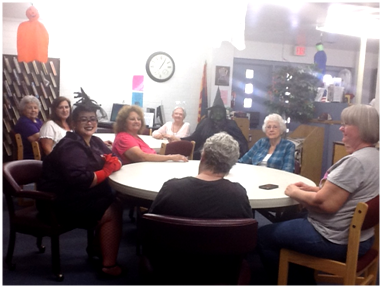 There were fourteen ladies in attendance for October’s Halloween themed tea party and a good time was enjoyed by all. 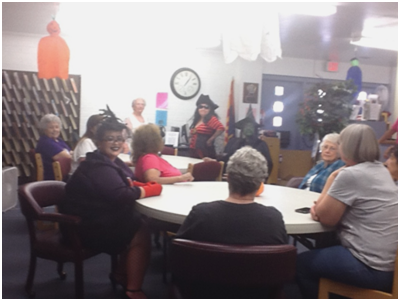 L-R Virginia Ochoa, Antonella Platt, Jenna Morrison (Black Widow Lady), Susan Middaugh, Mary King (Angel), Bev Servant (pirate in lower photo), Linda Sullivan (witch), Jeanie Swingle (back of head), Betty Harrison and Colleen Mooney. 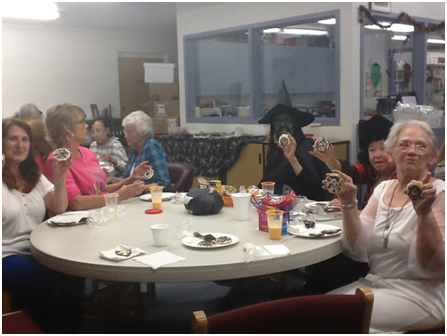 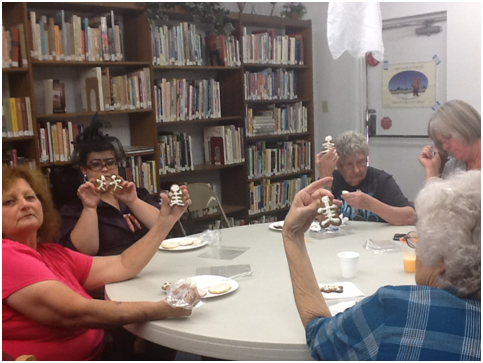 The ladies got instructions and a demonstration of how to decorate Spider web and Skeleton cookies and each lady was allow to decorate a couple of their own for practice. 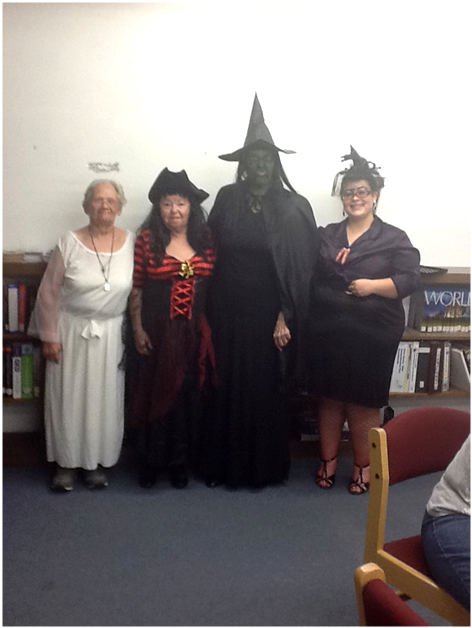 L-R Colleen Mooney, Betty Harrison, Virginia Ochoa, Bev Servant, Susan Middaugh, Jenna Morrison.